inbrass.co.uk is the online trading name of Edina Lock & Key Co Ltd. 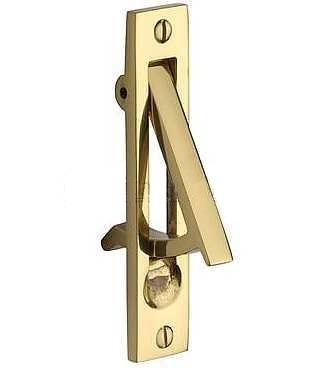 Established in the heart of Edinburgh's Georgian New Town for over 30 years, our experience in selling quality architectural ironmongery and brassware is second to none. We specialise in reproduction period door knobs, sash window furniture and front door fittings - much of which is made exclusively for us. 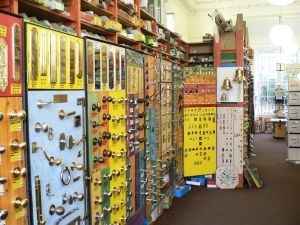 The business was founded in February 1983 in Glanville Place, Stockbridge, Edinburgh as a locksmithing and keycutting shop with a few hardware fittings. Demand for architectural fittings grew quickly - particularly front door furniture - so the range of door and window fittings increased dramatically while still retaining the original locksmithing heritage. 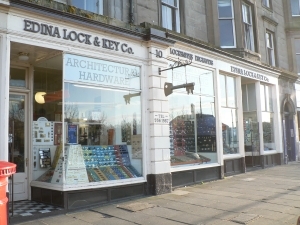 In 1999 the business moved to the current larger premises in Brandon Terrace to allow both the locksmithing and architectural ironmongery sides of the business to grow. In 2003, we began selling online. Initially, the site was basic and orders had to be placed by phone! Fortunately, things are a bit more up to date these days and we are able to distribute our products all over the UK and world with a few mouse clicks. Over the years we have forged close links with architects and designers interested in Edinburgh's Georgian and Victorian heritage who want authentic fittings for their projects and we are proud to have provided much to properties owned and cared for by Historic Scotland and the National Trust for Scotland who are happy to rely on our expertise. Most of our products are available to purchase online but if you would prefer to place an order by phone, email, fax or post, please do not hesitate to do so. We are happy to help guide your choices for any purchase, no matter how small. Alternatively, if you are in or around the Edinburgh area, come and visit our showroom. We are centrally located just 10 minutes walk from Princes Street and Edinburgh Castle. Edina Lock & Key Co. Ltd.
and look to be very good quality." LT, Herts. "I am delighted with my purchases. They are a beautiful design and just what I wanted for my new kitchen. Thank you for your prompt delivery. We shall certainly recommend you to others searching for products you supply." AT, Warks. "I would like to thank you for your prompt delivery of the product below. I have to say, you have to be the fastest delivery service I have ever come across. I'm extremely pleased with my product, and will not hesitate in recommending you to others. Once again, I thank you for the speedy delivery and the quality of your products." MT, Hants. "I would just like to say thanks for the prompt and professional service form yourselves. Your internet service is second to none, and the first to send a copy of my credit card transaction. 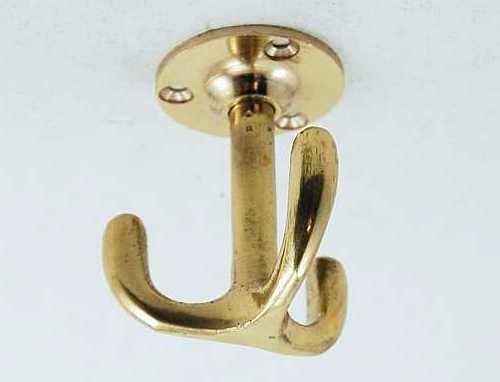 When I need some more door knobs or handles of any kind, it will be inbrass i come to." SD, Yorks. "Just a quick note to thank you for the prompt delivery of the cabinet door handles. They are of excellent quality and value for money and I will recommend your site. I fitted them yesterday and they look fantastic!" KP, Hants.